All Kids Dental provides the latest treatments with a full range of preventive, restorative, and cosmetic services, including flowable composite sealants, fluoride-releasing bonded restorations, and aesthetic veneered or zirconia crowns. Our state-of-the-art technology and experienced team of highly trained doctors provide patients with the latest treatments and technologies. We receive the latest training and utilize the most modern technological advances available to assure that every child receives the highest quality of care possible. All Kids Dental is proud to offer the newest generation of digital X-ray equipment that guarantees your child is being exposed to the least radiation possible. We are now able to use a very small fraction of the traditional dose of radiation to obtain the highest quality of images available today. 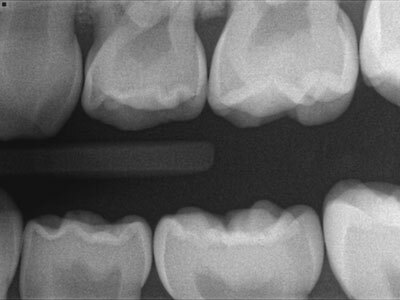 With our state-of-the-art PlanMeca Panoramic/Extraoral Bitewing machine, we are able to take the bitewing X-rays of the back teeth from the outside, without the child even having to put the sensors in his or her mouth. This is particularly worthwhile for the young or anxious child, or one who has a significant gag reflex, and who may not be able to tolerate the traditional approach. Our goal is to obtain the best possible images, in a comfortable manner, so we can better diagnose and appropriately treat your child. Radiographs detect much more than cavities and allow diagnosis of conditions such as dental cysts and tumors, supernumerary teeth, congenitally missing teeth, ectopic eruption, dental anomalies, and dental and alveolar fractures, as well as dental caries and abscess. If identified and treated early, such conditions are treated more comfortably for your child and more affordable for you. The American Academy of Pediatric Dentistry recommends radiographic examinations beginning at age four, unless something unusual presents. Although children who have a high caries risk tend to require radiographs more frequently, we typically take intraoral radiographs once a year — but may go up to every 18 months for low caries-risk patients. As specialists in pediatric dentistry, we are particularly careful to utilize radiation exposure for diagnostic purposes only. With contemporary safeguards and our conservative protocols, the amount of radiation your son or daughter will receive from our digital systems is extremely small. In addition, our standard lead body aprons and shields will further ensure your child’s safety. 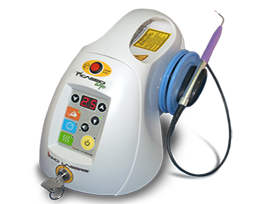 Another newer technology available in pediatric dentistry is the use of lasers. The best use for lasers in pediatric dentistry is for soft-tissue procedures: for example, the tongue-tied three-year-old who is having speech difficulties. Historically, this child required sedation by an oral surgeon, incision with a scalpel, and multiple stitches to close the wound. Lasers allow us to do the same procedure, with little or no anesthesia, no stitches, and in a fraction of the recovery time. Older children can benefit from lasers to snip heavy frenums in conjunction with braces, adjust gumline asymmetries, or expose blocked-out teeth. 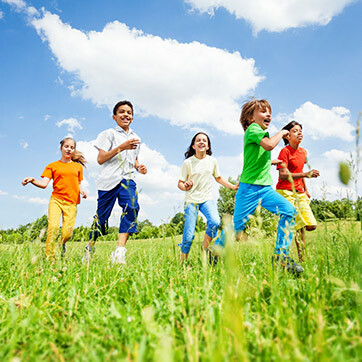 All kids appreciate having complex procedures done with lasers because it’s quick, easy, and pain-free. 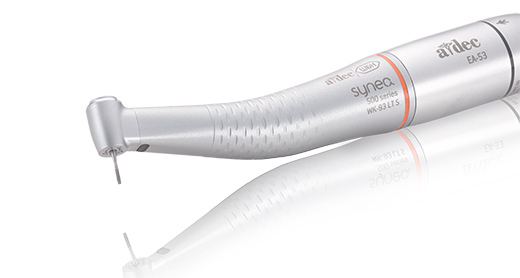 Electric handpieces are not only quieter, but deliver less torque to the teeth, so many small procedures can be accomplished even without a local anesthetic (shot). This may be the difference that allows us to accomplish your child’s treatment gracefully, especially if he or she experiences anxiety. When we are working in your child’s mouth, we have to isolate the area we’re addressing and keep it dry. One amazing technology we’ve added is the Isolite system. It relies on a single-use, soft, comfortable bite block that helps keep your child stay open, while continuously providing suction and retracting your child’ tongue and cheeks. Patients find they are not choking or gagging during the procedure because of the continuous suction and the hands-free suction allows our dental assistants to focus on your child’s needs. We can work more quickly and effectively, which means less time in the chair and more time picking prizes! 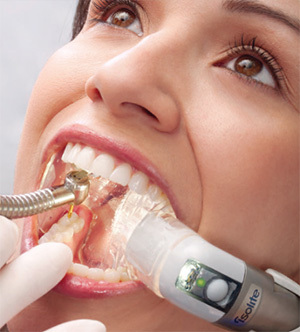 Our intraoral camera allows parents a more thorough understanding of any treatment need. 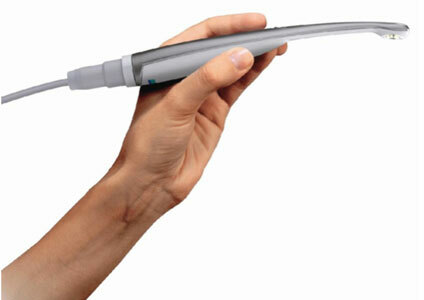 This technology easily captures high-quality images of your child’s teeth and remains part of our permanent record. The images enable us to review our findings during the treatment consultation, so parents can understand their child’s dental needs better. Our advanced laser technology empowers us to detect potential problems earlier, and thereby avoid bigger problems in the future. The DIAGNOdent Caries Detection System is now available as a diagnostic tool and we longer have to “pick” at a tooth with an explorer to diagnose a cavity. The laser provides a numeric readout of enamel and dentin density and allows our team to determine the presence of hidden caries objectively in a way that was previously not possible until they were much larger. This allows us to restore teeth with smaller, stronger, more conservative fillings that are not only less expensive, but last much longer. It is also much easier for your child to have a small restoration placed rather than allowing the cavity to progress to something that is more difficult to restore. 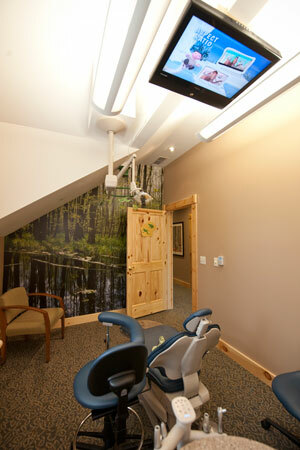 We have ceiling-mounted TVs in each treatment room. Your son or daughter will be able to choose from one of the four current movies playing in our central DVD player. This distraction, when combined with nitrous oxide, makes restorative procedures much easier for your child.